I’m not easily impressed, and I don’t often give compliments. It’s a character flaw of mine. However, every now and then comes along a person who amazes me by their determination, their work ethic, and their belief that they can make a difference. One of those people who I have not only had the absolute pleasure to meet, but actually to work with is Dr Saleh Al-Awaji. 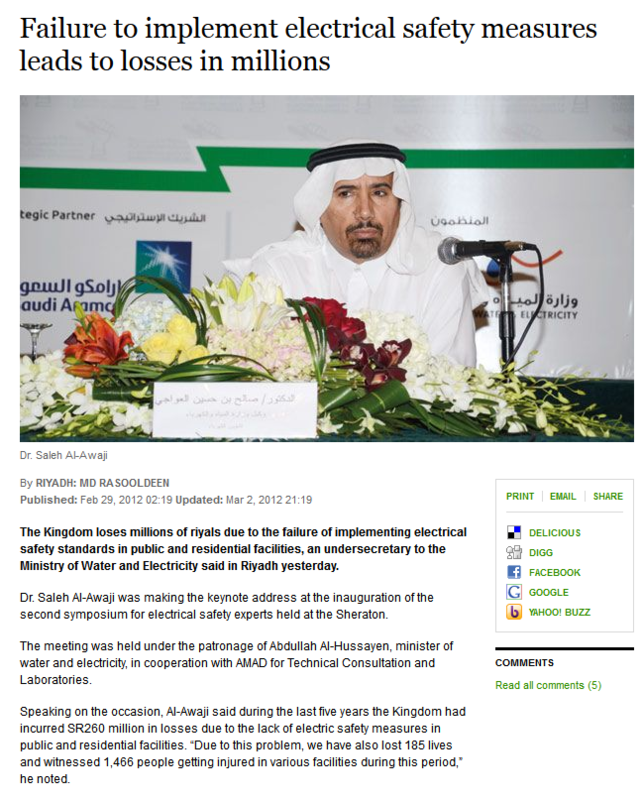 Dr Al-Awaji is the Deputy Minister of Electricity and Water. 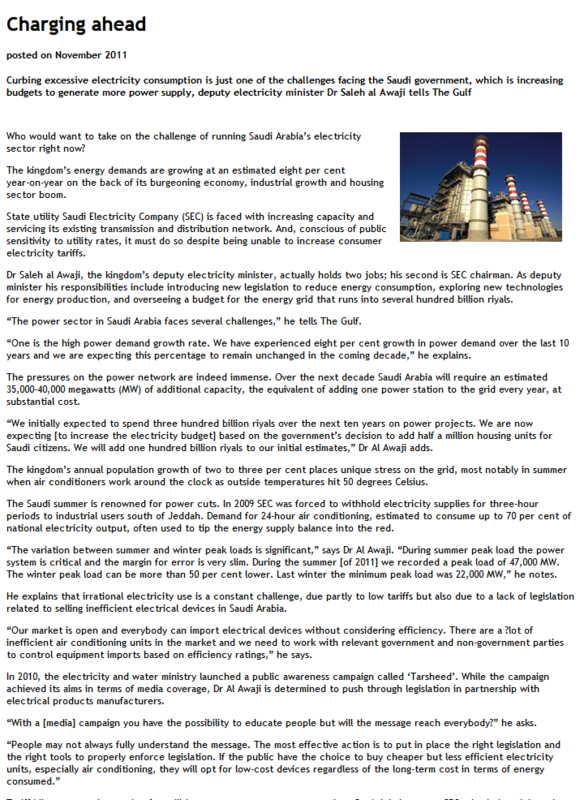 Not only that, he is the Chairman of Saudi’s electricity provider, the Saudi Electricity Company. Now, usually senior government officials can be heard to reach, they’re surrounded by their staff, and they are difficult to talk to. When or if you do get the chance to talk to them, don’t expect more than a couple of lines before they move on to their next engagement. To me, Dr Al-Awaji is everything that a government employee should be. He’s incredibly hard working (how many times have you received an email from a GCC government official out of office hours) and he’s passionate about what he is doing. I’ve always been struck by Dr Al-Awaji and his determination to make a difference through his work. He’s also eloquent and knows more about the energy sector in Saudi than anyone. Have a look at the gallery below to see more about Dr Al-Awaji and what he is working on. We need more government officials like Dr Al-Awaji. 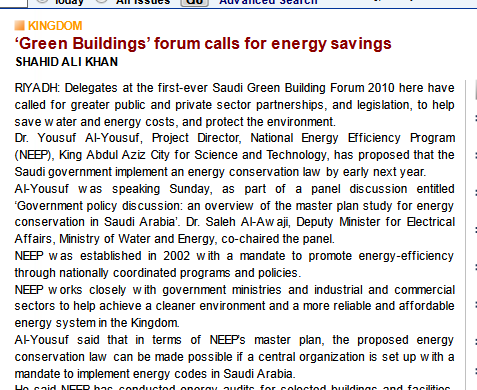 I for one am grateful for knowing and having worked with the Deputy Minister and Chairman of Saudi Electricity Company. If you’re interested in Dr Al-Awaji’s full bio then go here (yes, he even has his own website!). This entry was posted in Uncategorized and tagged ABB, Dr Saleh Al-Awaji, Energy, Government, Ministry of Electricity and Water, Saudi Arabia, Saudi Electricity Company by alexofarabia. Bookmark the permalink.